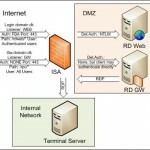 Virtualizing Your Domain Controllers without getting fired! Please pretty please do not just hit the button and P2V/ColdClone/HotClone/Copy your Windows Server Domain Controllers, regardless if they run Windows Server 2000/2003/2008 etc. 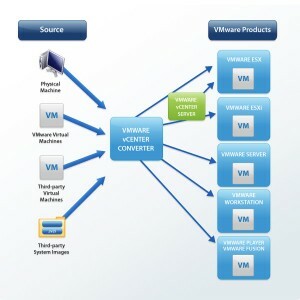 In best case You accomplish to virtualize your domain controllers, wich You could have done with a few simple steps just as easily with out any danger. In worst case You render your Domain Controllers useless, create several other problems and hickups in your infrastructure, not limited to complete production halt and at least several hours of pain and horror trying to get everything back and running! Personally I have nothing against virtual Domain Controllers, usually best practice is not to run all kinds of other software or services on a Domain Controller, plus the need to have multiple Domain Controllers for redundancy will quickly add alot of boxes doing very little. Virtualizing some or all of these Domain Controllers, will put better use of ressources and still keep the box seperate from other services. Dont forget to change time synchronisation settings in the w32time service, vmware tools and ntp servers in the ESX’s, but thats another story. One of the big problems with doing a clone of a Domain Controller, is that if you get problems, you will not notice them untill it is too late. The domain controller will seem to function and work with clients, but it will actually have stopped replicating with all other domain controllers, because it has detected that it has been copied. The result is an inconsistent domain with client records not being updated, they will slowly stop working depending on what domain controller they get in contact with, untill everything goes dead. If you have then virtualized ALL domain controllers, You will be left with 1-3 months of changes going down the tube together with your damaged Domain Controllers. Dont forget to take a full backup of at least 1 Domain Controller before starting your cloning!